At the suggestion of General Estienne, who was in charge of special artillery for the French army, Louis Renault presented a wooden mock-up of the FT 17 tank to the Assault Artillery Advisory Committee run by General Mourret. The general declared that the tank was too light and the centre of gravity too far to the rear. He thought it needed more work. 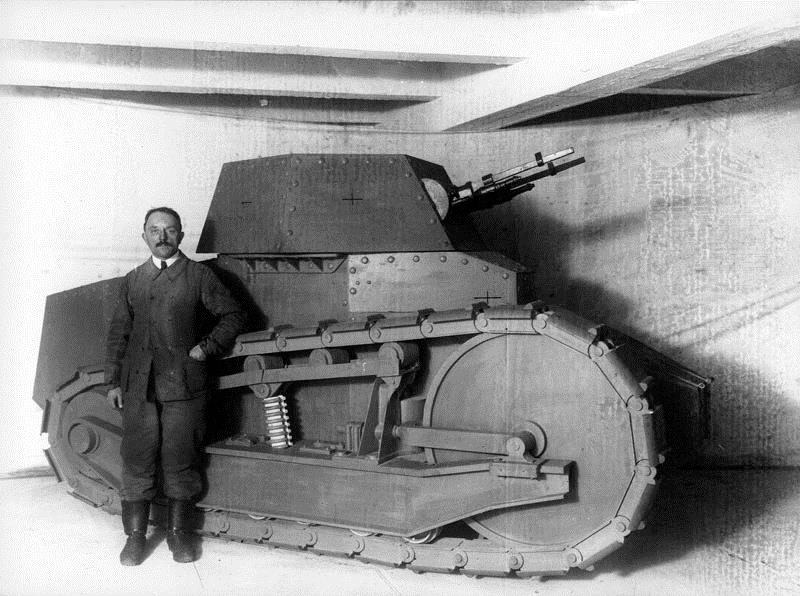 Renault explained that the weight and dimensions of his tank had been reduced so that a large number could be produced in a very short time. Source: Renault Histoire, all rights reserved.